The concept of "bring your own device," or BYOD, started in the corporate sector about 10 years ago. Companies started noticing the trend of employees preferring to use their own laptops and phones for work purposes. Their comfort led to better productivity and job satisfaction, and soon it became the norm. 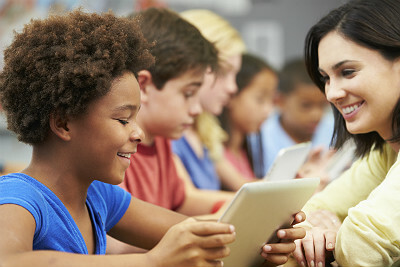 Like all good ideas, it did not take long for the BYOD trend to move on and filter into other areas like education. Though the concept has been in experimental use for a while, it has recently seen stupendous growth and has become a strong presence in educational institutions, even elementary schools. The idea behind the BYOD trend is that students can bring in their own mobile and digital devices and use them for educational purposes. Students can enjoy the comfort of their own devices and spend more time on them to learn instead of having to wait their turn when sharing classroom devices. This simple and effective method can work as an extension of the school's resources and expand the scope of learning manifold. Looking at these advantages of interactive and in-depth learning, schools are now actively encouraging their students to bring their own devices. Research conducted in 2013 by Bradford Networks showed that 85 percent of educational institutions in the U.S. and the United Kingdom allow mobile devices in the classroom, a figure that will only rise in the future. These various devices then need to be integrated under a cohesive lesson plan and must adhere by the school policies at all times. One important area of concern here is proper online etiquette and student information security. Students need a thorough orientation before they start with intensive use of these devices. They need to be careful about sharing personal information online, about visiting inappropriate websites, downloading information without being sure of the sources and being knowledgeable about online viruses. They should also know how to store their devices securely when not in use and not randomly share in school in order to avert unforeseen issues. This is a trend that will not only gain more momentum but will also see a rapid mass adoption within this calendar year. This means schools have to gear up and train their teachers and students alike for best use and convergence of these resources. How can you make the best use of the BYOD trend? Determine how best the devices can enhance the lessons and learning. Survey how many students want to bring their devices and how many won't. That way it will be easier to plan on existing resources and ensure the best technology reach across the classroom. A list should be planned among teachers and counselors about the various sites and apps to use. This should be in accordance with the school district norms and basic Internet guidelines for students. Students should begin with smaller activities and then proceed to bigger jobs like research or assignments. They can be allowed limited Internet access to do research for their school projects under supervision. Edmodo: Education social network that helps teachers set up a more focused and effective online educational environment. Student work and teacher feedback can be easily submitted online now. Evernote: Captures images, information and Web clips easily and even organizes bookmarks. Animoto: Easily imports photos, clippings and videos and integrates music to create great videos. BrainPop : A great resource of educational videos and games. Google Docs/Apps: Online access to Word and other workbook tools like spreadsheets and presentations. Teachers can also set up a Google Form, which will appear like a spreadsheet with clear guidelines for students to submit assignments. These various resources are effectively integrated to create an engaging and interactive learning atmosphere. The BYOD concept has opened up the way we learn by bringing differential education and out of the box, rather classroom learning for students today.